SRINAGAR: An outpouring of kindness could not have come at a better time for the poor and less privileged people as biting cold sweeps the Kashmir Valley. On the banks of the Jhelum river, alongside the fashionable Residency Road, well-to-do families in the city have been donating their warm clothes including jackets, coats, jerseys and more so that those in need can use them to beat the extreme cold. 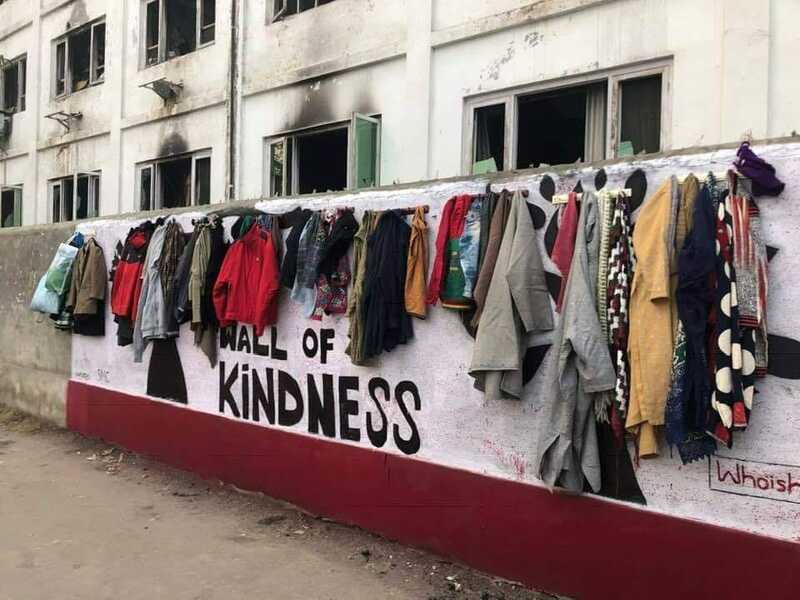 The people donating these items hang them on what has come to be known as the “Wall of Kindness” for the needy to come and take them. On Wednesday, the temperature plunged to minus 3.0 in Srinagar. It was equally cold in other parts of the Valley including Pahalgam (minus 5.1) and Gulmarg (minus 4.0).